We love snowmen in my house. I have lots of snowman decorations around the house in the winter, and of course, Olaf has become a very big celebrity with my boys. I also love coffee. As I was making myself a cup this morning, I looked at my K-cup and thought hmmm... this could become part of a snowman (the mind of a blogger, right?). Since we have been stuck inside the house this week with colds and frigid temperatures I will take just about anything and make it into a craft project. 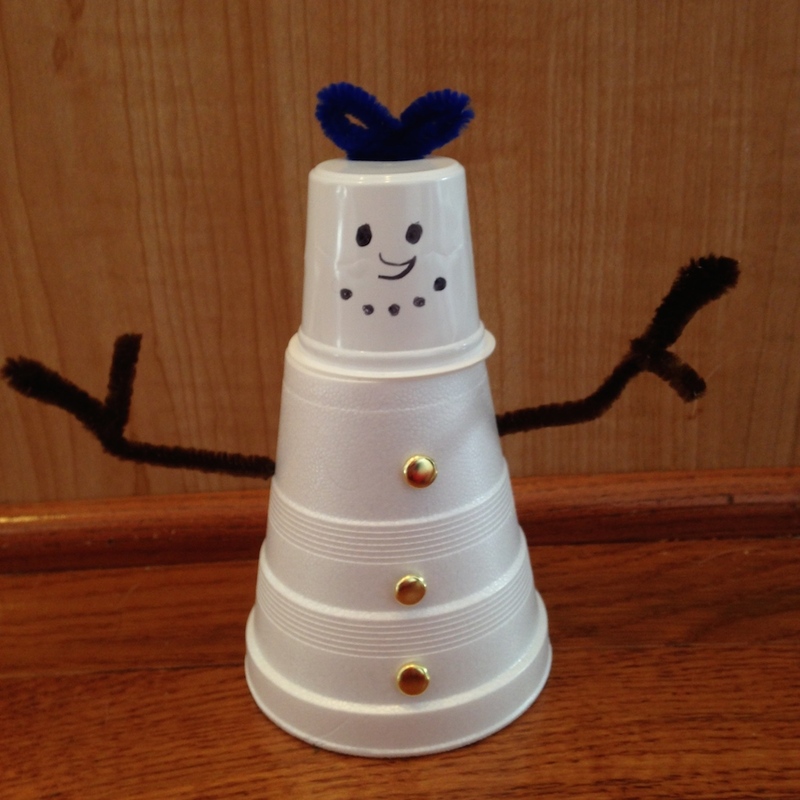 I cleaned out my K-cup, grabbed a few other things from my craft bin, and we made this really cute, easy snowman craft. It was great fine motor practice for my boys and turned out really well! Please note: this activity features small parts. 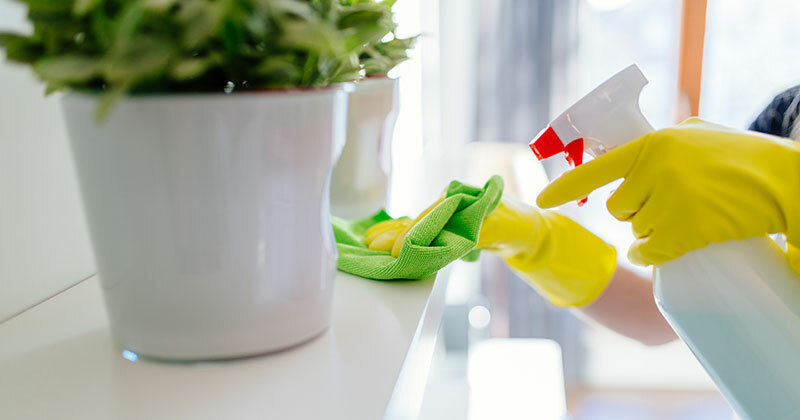 Children should be closely supervised when doing this craft. This craft may not be appropriate for all children. Remove the foil, coffee, and liner from your K-cup. Thoroughly wash and dry. Flip upside down, and draw on a face with black marker. 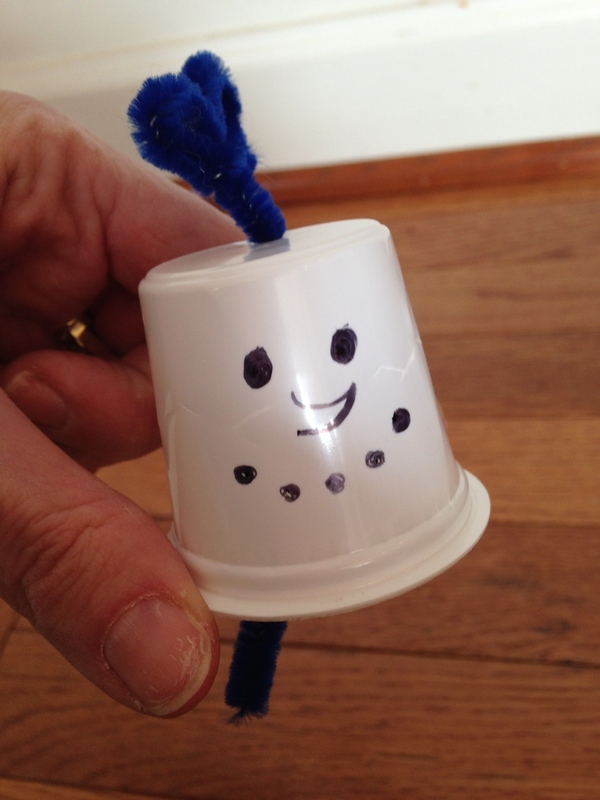 Thread a colored pipe cleaner through the hole in the top of the K-cup. Twist the top portion into your desired shape for a hat (ours was a bow). Be sure there is enough of the pipe cleaner coming through the bottom to stick through the styrofoam cup (at least an inch). Now let your child assemble the snowman! 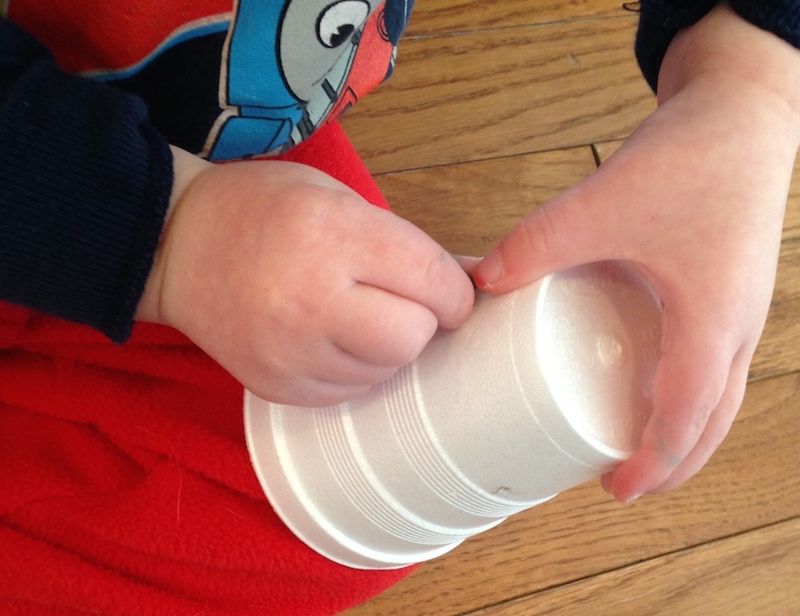 Have them punch the paper fasteners into the styrofoam cup for the buttons. 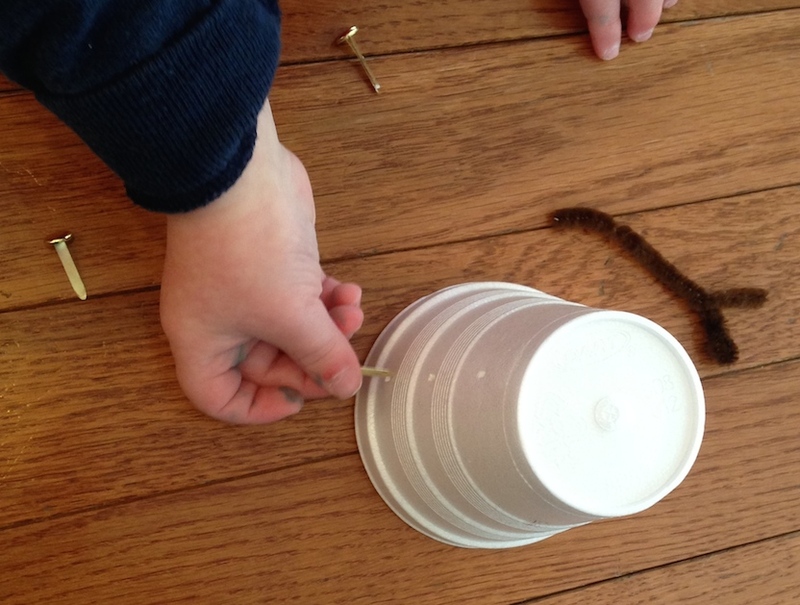 Push the 2 brown pipe cleaners into the sides of the cup to make arms. Twist the ends so that they form a V for hands. Push the head onto the top of the cup, pushing the end of the pipe cleaner through the top to secure the head to the base. All done! A happy snowman! He is now ready to join the rest of my snowman decorations. Since this craft does have small pieces, he is definitely a decoration and not a toy. 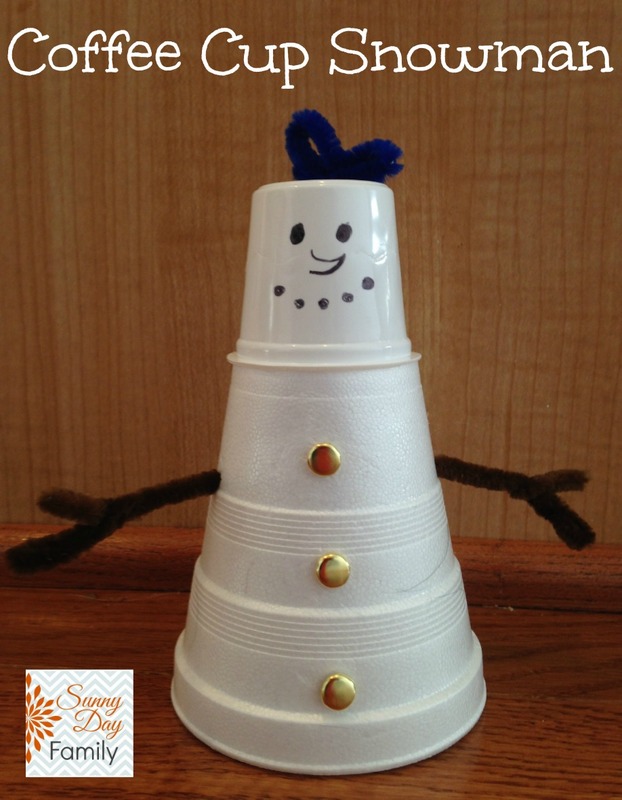 Like this snowman craft? 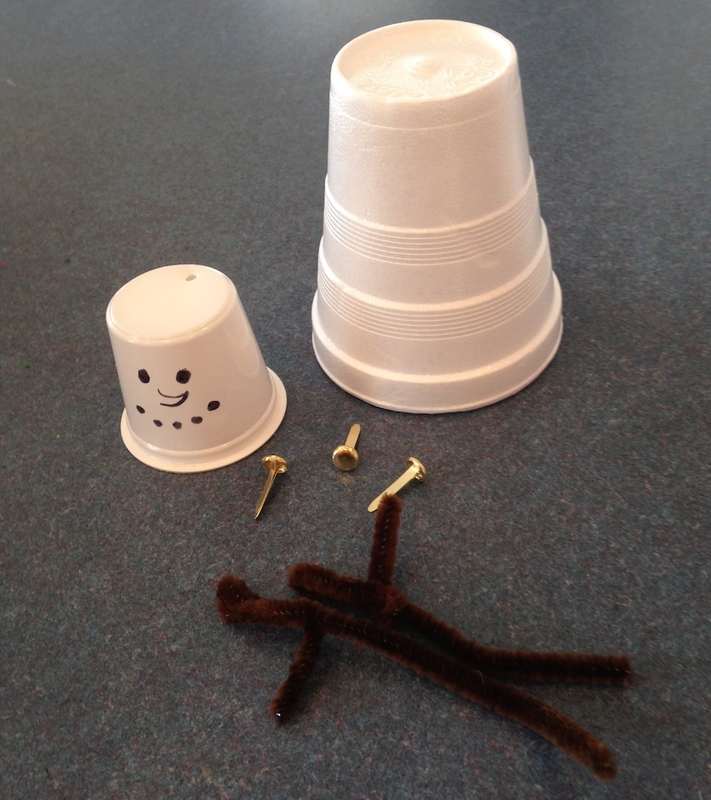 Try my Build a Snowman Busy Bag next! Very cute! Wish I'd thought of something like this last night at a church event, when one of the toddler girls desperately wanted to build a snowman, but we didn't have any snow! Thanks for sharing this on the Virtual Fridge!